CPCC is leading the tailgate recycling efforts this Saturday, Dec. 2, for the ACC Championship game at Bank of America Stadium. Volunteers will distribute recycling bags to tailgaters and encourage recycling! Volunteering starts at 4 p.m., and lasts until 6 p.m. Meet at Mecklenburg County LUESA – 2145 Suttle Ave, Charlotte, NC. Please contact David Valder at david.valder@cpcc.edu if you’d like to join the volunteer team! It’s EASY! Making print setting changes only takes a couple of clicks. 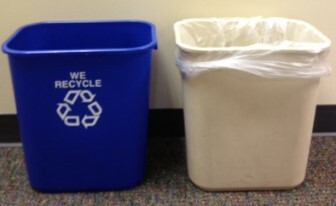 Marker Recycling Program is Working! 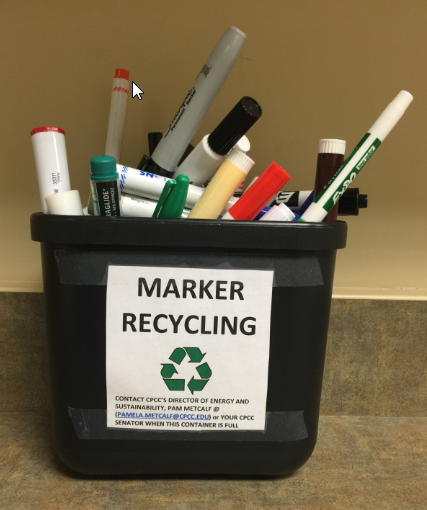 Facilities Services and the CPCC Senators have rolled out a program for recycling used markers of all types (dry erase for white boards, sharpies, highlighters, magic markers, felt tip markers/pens). 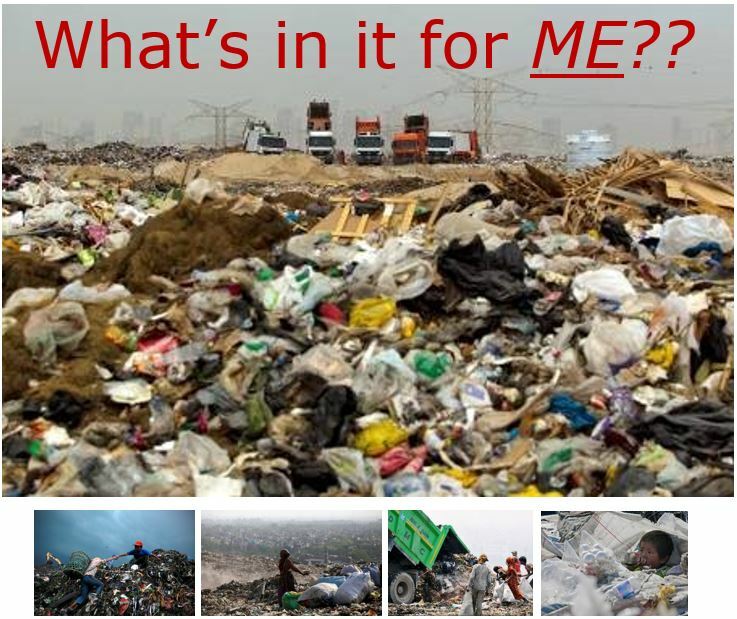 Contact Pam Metcalf pamela.metcalf@cpcc.edu or Your CPCC Senator http://www.cpcc.edu/senate/senators when the box is full. If you have questions, comments or suggestions, please contact Alison Gagan at ext. 6968) or Pam Metcalf at ext. 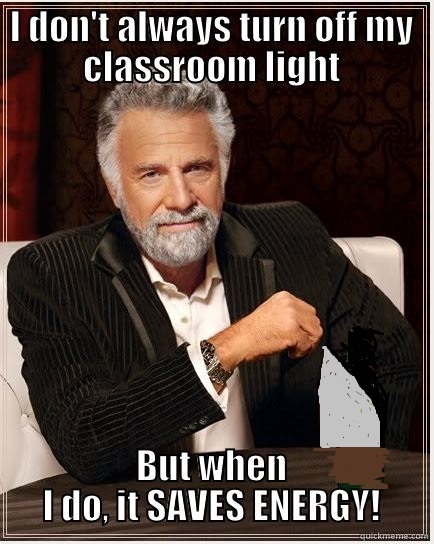 6079. 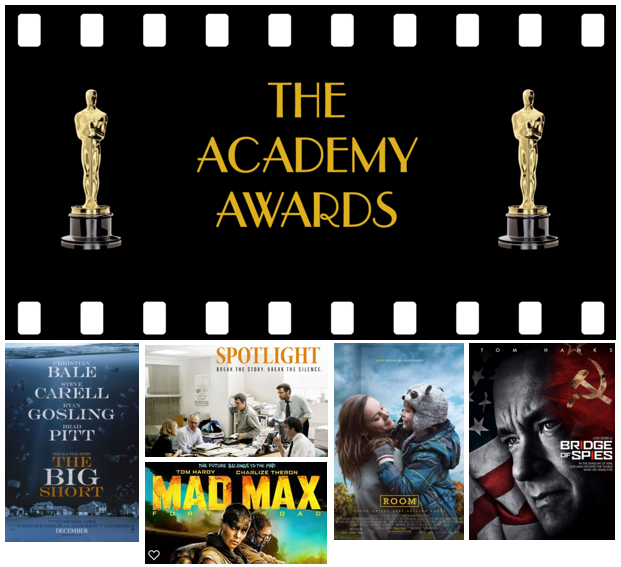 CPCC did not win an Oscar this year, but in 2015, it did win three awards for being sustainable. 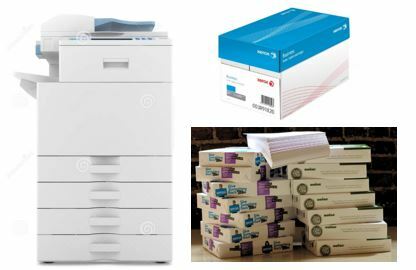 As we are approaching the transition from winter to spring, there may be fluctuations in your work area. 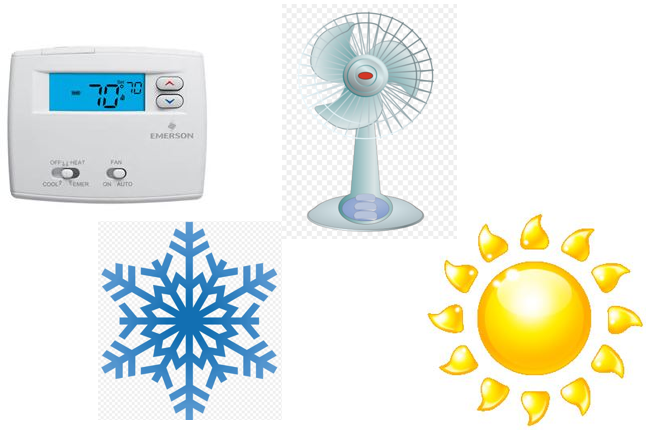 You are free to bring a personal fan to CPCC if you are warm, but electric space heaters are not allowed except for medical reasons. First Meeting of CPCC’s New EARTH Club! EARTH CLUB is an outdoor exploration club with the goal to inspire and appreciate interests in sustainability and the environment. Join us to learn more about the club and enjoy an organic Pizza Party on February 23 at 5 p.m. in the Sustainability Lab, fourth floor of the Elizabeth Classroom Building. Please contact Amanda Wilkinson for details at awilkin6@email.cpcc.edu. CPCC is The Charlotte Chamber GreenWorks Council’s 2015 Wells Fargo Green Awards winner in the large business category. The whimsical trophy pictured here is hand blown glass by a Weaverville, N.C., artist and is on display at Facilities Services. 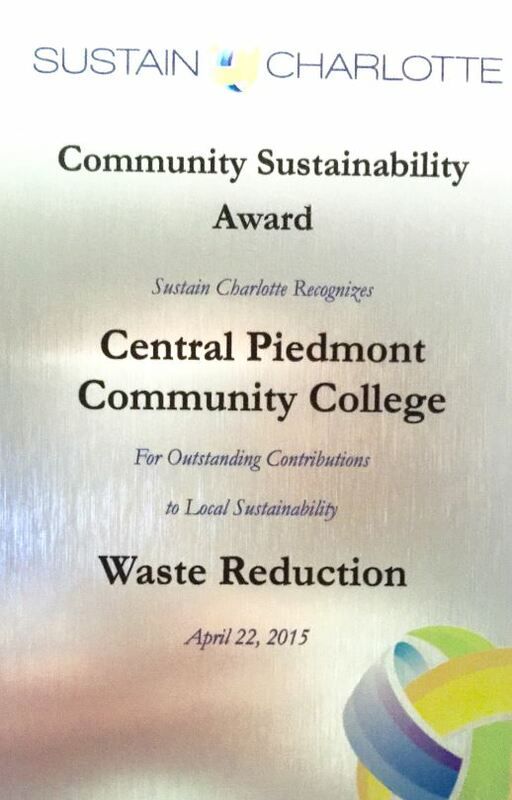 CPCC has almost doubled its waste diversion rate in the past three years. KEEP UP THE GREAT WORK! 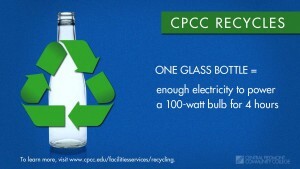 CPCCs Director of Energy and Sustainability, Pamela Metcalf, is engaged in facilities efficiency and energy awareness. If you have suggestions, they can be emailed to Pamela.metcalf@cpcc.edu. Vote for CPCC to Win the Charlotte Chamber Wells Fargo Green Award! 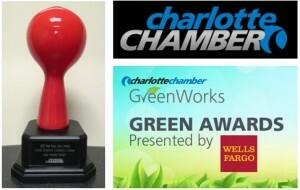 Please vote today for CPCC to Win the Charlotte Chamber Wells Fargo Green Award! The online vote is here! Please send the link below to as many contacts as you can. The link and online voting goes live now through Friday, October 23. 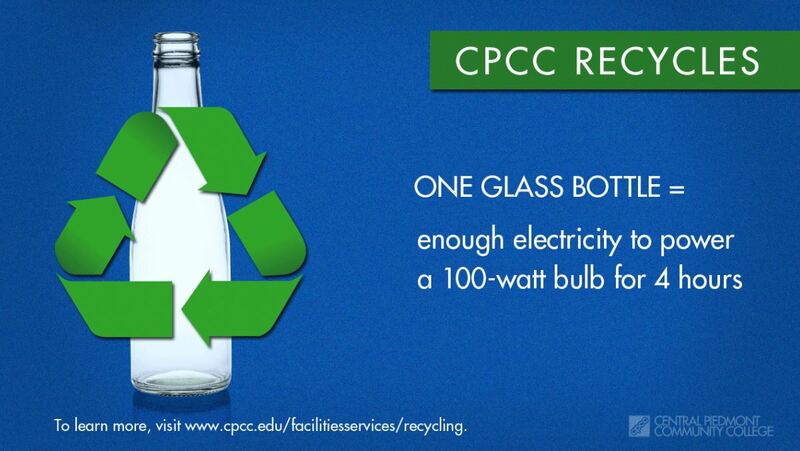 Recycling: CPCC has almost DOUBLED its recycling rate in three years – from 20.9% to 38.9%. Great job, all! Energy and Water Conservation: Over the past year, CPCC’s electricity consumption dropped 12% and gas consumption dropped 33%. The final phase in the competition is on-line voting, similar to American Idol, so we NEED YOUR HELP! On April 22 (Earth Day), Sustain Charlotte hosted their 4th annual celebration of sustainability leadership. 100 nominees representing a diverse cross section of Charlotte area businesses, nonprofits, neighborhood organizations, government agencies, and residents were recognized. 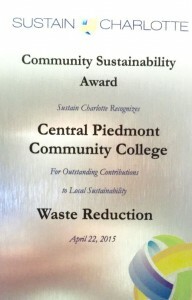 CPCC won FIRST PLACE in the Waste Reduction category due to its increase in recycling and its new food waste collection program. 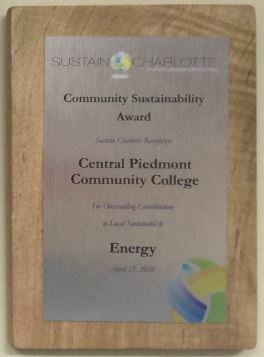 CONGRATULATIONS CPCC! Keep up the good work!